How much time was spent on Change Management as part of your last software implementation? In a previous post, several facets involved in a Maximo Implementation that can impact the success of that implementation were reviewed. 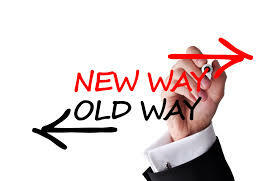 For this post, we’ll focus on the specific topic of Change Management. Let’s start with a definition of Change Management. A “set of interventions” for leading and managing the people side of change to achieve a desired outcome. What are the desired outcomes for a software implementation? From a ‘big picture’ view, lets say it is to improve performance in one or more of many areas. With Maximo, this might include better Failure Analysis or a bigger return on investment in maintenance programs. What interventions then might prepare employees for the coming change? After all, in some organization, maintenance personnel are accustomed to fixing the issues without in depth reporting on what took place. To get these employees on board, you must develop a Communication Plan as part of the implementation effort from the beginning. And, communicate communicate communicate throughout the project. Let the employees know the benefits to them of the implementation. And, make them a key part in its success. It’s about people adopting new mindsets, policies, and behaviors to deliver organizational results. We’ve all heard it before. Change is hard. Technological innovations change constantly. But, our adaptation of these innovations invariably lag behind. Think the Fax machine. Why are we still walking over to a Fax machine? Long story short is that employee’s adopting change will take time and patience. They’re breaking old habits and learning new ones. So, how do you get them to accept the change? Psychologists may tell you to Reward them. Offer rewards for various accomplishments and adaptation of the new system. But, let’s leave the ‘old school’ psychology of rewards out of this. Ok, you get the picture. If employees are not ready for what can truly be a big change, acceptance of your implementation can easily undermine a project. Don’t just focus on technical and functional requirements of the software itself. Focus on Change and the people expected to accept it. In many ways, this is the most difficult part requiring the greatest amount of time, and patience, on the part of management. We look forward to thoughts from others on how you were able to get organization-wide buy in to Change.